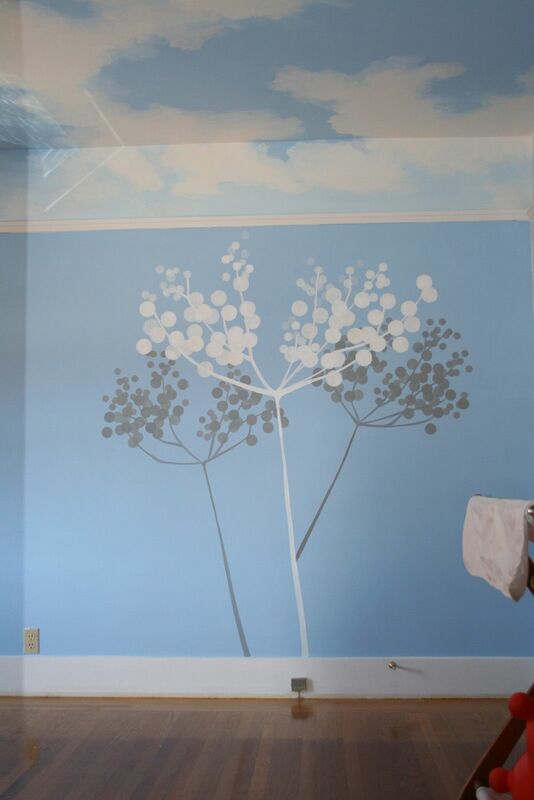 This mural was painted for a boy’s nursery in Berkeley, CA. 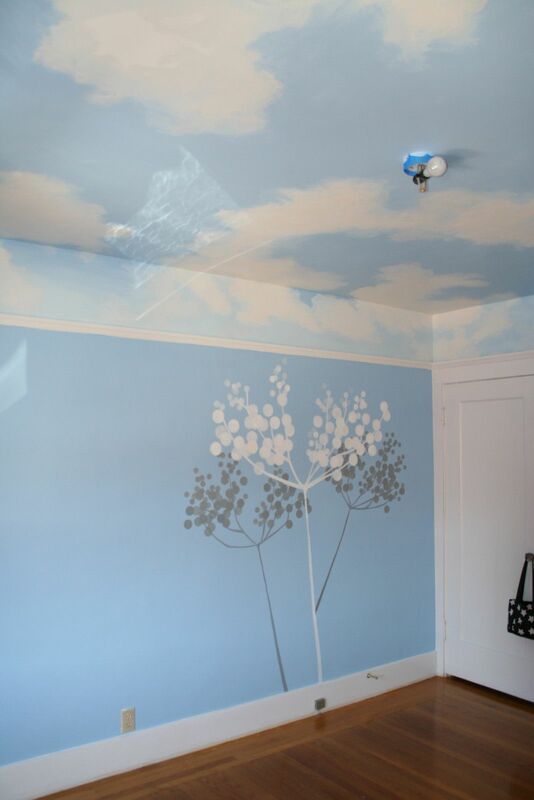 The client wanted something stylized and soothing. 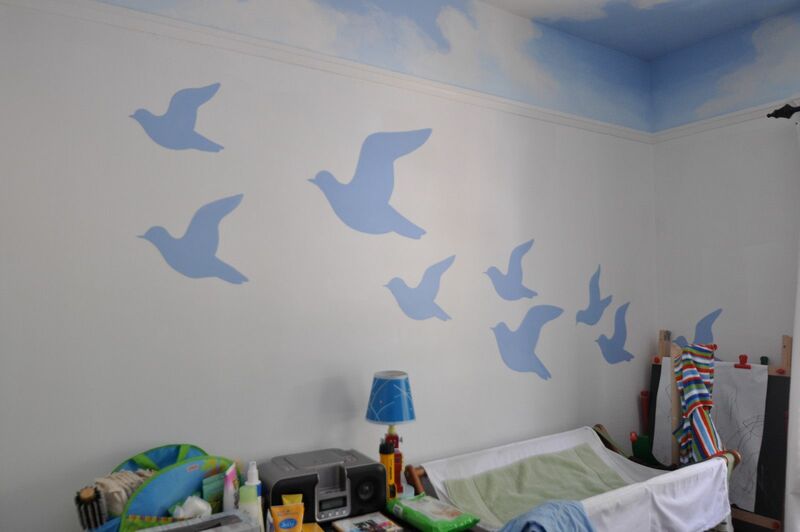 We painted the ceiling with big, soft, puffy clouds and then put birds and a dandelion inspired design on the main wall. It looks simultaneously dreamy and sophisticated. It was a perfect balance because the dandelion is framed by the doorway and a red wall, which you can see clearly from the master bedroom. 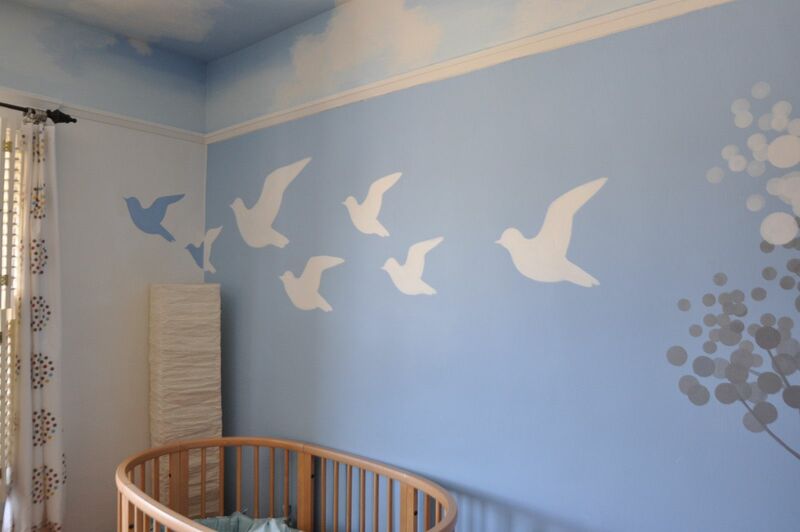 I try to have the artwork fit in with the overall flow and vibe of the house, as well as the energy of the child or adult (or both!) that live in the space. It enhances the overall impact of the artwork exponentially.